Brilliantly constructed speculative crime fiction, a classic whodunit and a dark psychological suspense, Doug Johnstone returns with his most explosive and original thriller yet. On a clandestine trip to new volcanic island The Inch, to meet Tom, her lover and her boss, she finds his lifeless body, and makes the fatal decision to keep their affair, and her discovery, a secret. Desperate to know how he died, but also terrified she’ll be exposed, Surtsey’s life quickly spirals into a nightmare when someone makes contact – someone who claims to know what she’s done. Fault Lines was published by Orenda Books in ebook on 28th Feb 2018 and in paperback on May 22nd. Crash Land was published by Faber and Faber on 3rd November 2016. Buy the Kindle ebook here. Read loads of reviews and features on the book on the press page. The Jump was published by Faber and Faber on 6th August 2015. You can do anything if you have nothing left to lose. But even with the best intentions, she can’t foresee the situation she’s falling headlong into – a troubled family, with some very dark secrets of their own. The Jump is a hugely moving contemporary thriller, and a stunning portrait of an unlikely heroine. 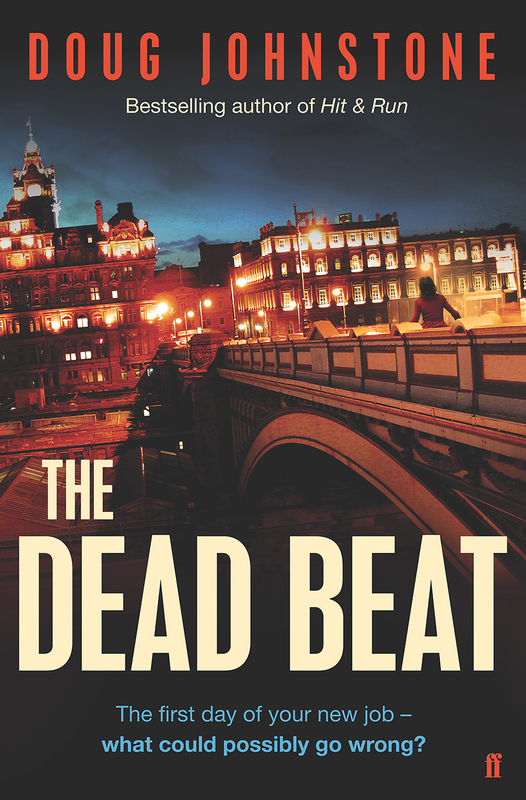 The Dead Beat was published by Faber and Faber on 1st May 2014. Meet Martha. It’s the first day of her new job as intern at Edinburgh’s The Standard. But all’s not well at the ailing newspaper, and Martha is carrying some serious baggage of her own. 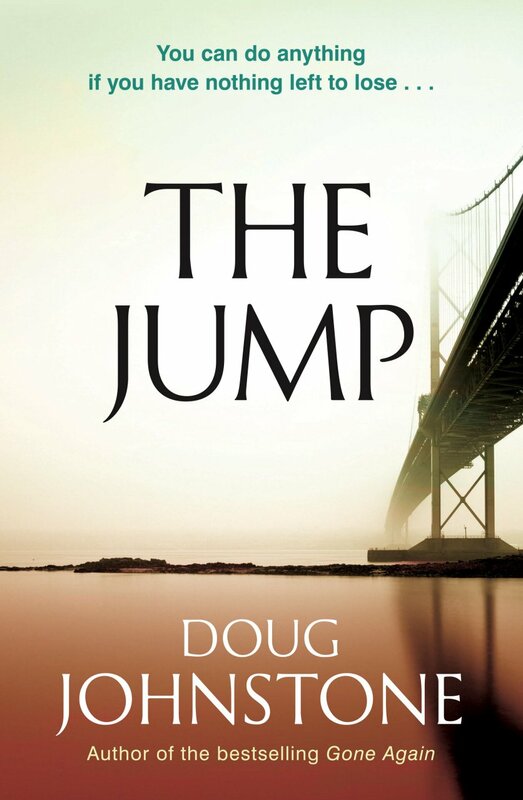 Read dozens of reviews of the novel and features on Doug over on the press page. Gone Again was published by Faber and Faber on 7th March 2013. Hit & Run was published by Faber and Faber on 15th March 2012. You hit someone. You run. But what if you have to go back? Driving home from a party with his girlfriend and brother, all of them drunk and high on stolen pills, Billy Blackmore accidentally hits someone in the night. In a panic, they all decide to drive off. But the next day Billy wakes to find he has to cover the story for the local paper. It turns out the dead man was Edinburgh’s biggest crime lord and, as Billy struggles with what he’s done, he is sucked into a nightmare of guilt, retribution and violence. Read the reviews and features on Hit & Run as they come in, over at the press page. Smokeheads was published by Faber and Faber on 3rd March 2011. You can buy it here. Driven by amateur whisky-nut Adam, four late-thirties ex-university mates are heading to Islay – the remote Scottish island world famous for its single malts – with a wallet full of cash, a stash of coke and a serious thirst. Over a weekend soaked in the finest cask strength spirit, they meet young divorcee Molly, who Adam has a soft spot for, her little sister Ash who has all sorts of problems and Molly’s ex-husband Joe, a control freak who also happens to be the local police. As events spiral out of control, they are all thrown into a nightmare that gets worse at every turn. A wild trip to the Scottish Highlands, Doug’s debut on the Faber crime list is a classic violent thriller, doused with black humour. The Ossians was published in March 2008 by Penguin. It is now out of print, but you can buy the Faber ebook here. A rollicking and hugely enjoyable contemporary novel describing the outrageous mid-winter tour around Scotland of a group of musicians called The Ossians. The band’s driving force is twenty-four-year-old lead singer, Connor – intelligent but self-destructive, pretentious but charismatic, gloriously opinionated and with an extraordinary ability to get beaten up. The band is on the verge of signing a major record deal before setting off on a two-week tour of the cities and hinterland of Scotland, a tour expected to culminate triumphantly in a defining Glasgow gig. On their travels there is a seagull massacre, hapless drug deals, a mysterious stalker, a radioactive beach, a bomb-testing range, an epileptic fit, a town full of riotous Russian submariners, deadly snowstorms, epiphanies, regular beatings and random shootings. The Ossians is both hilariously readable and satirically astute, a story of rock’n’roll obsession as well as a search for identity and a sense of community, written with delicious insight, pace and brio. Tombstoning was published in August 2006 by Penguin. It is now out of print, but you can buy the Faber ebook version here. Your best mate just fell off a cliff in mysterious circumstances and you were the last person to see him alive. What do you do? Well, if you’re David Lindsay from Arbroath, you get the hell out of there and don’t return. Not for at least fifteen years. Until Nicola Cruickshank – yes, that Nicola, the girl you always fancied but never had the guts to approach – gets in touch and asks – no, demands – that you go back for a school reunion. To the place where it happened. The place you’ve been running from for fifteen years. Of course you go. Not to belatedly lay your mate to rest, but because you still fancy Nicola. The thing is, if you are David Lindsay, then returning to Arbroath isn’t going to lay any ghosts to rest. And when someone else takes a dive off the cliffs – an act the locals have taken to calling ‘tombstoning’ – while David’s there, he has a choice: run away again, or finally find out why people keep dying around him.